Iconic L.A. Club The Comedy Store Is Getting a Docu-Series at ShowtimeThe four-part series will air sometime next year. Billions Season 4 Goes for BrokeThe Showtime series keeps things fresh by inverting its central relationships and leaning into its goofy, go-for-broke mentality. How Shameless Says Good-bye to Emmy Rossum and Fiona GallagherIn her final episode, Fiona gets a true South Side sendoff. New on Showtime: March 2019Here comes more Billions. Showtime Is Making a Halo TV SeriesYeah, like the video game. Here’s the Writing Staff for Showtime’s Desus & MeroThe late-night series debuts next Thursday. Showtime Is Making an L Word Sequel SeriesThe revival is expected to premiere before the end of the year. SMILF Season Two Is an Intimate Portrait of Womanhood, With an AsteriskDespite allegations about SMILF creator Frankie Shaw, season two excels at depicting the personal struggles of its women. American Dream/American Knightmare Gives Suge Knight the Last WordThis Showtime documentary does not fawn, but it lets the Death Row co-founder’s claims go unchallenged. How Escape at Dannemora Actors Compare to Their Real-life CounterpartsMeet the real people behind Ben Stiller’s dramatization of Richard Matt and David Sweat’s prison escape, and learn where they are now. Escape at Dannemora Recap: Pipe SplittersMatt and Sweat’s breakout, and the pulse-pounding leadup to it, revive the flagging series just in time. Escape at Dannemora Review: Tilly and the WallTilly and Lyle both continue to teeter between pathetic and sympathetic. Escape at Dannemora Recap: Making Ends MeatAs the series inches ever closer to the real action, Tilly has gotten in deep — and gotten careless. 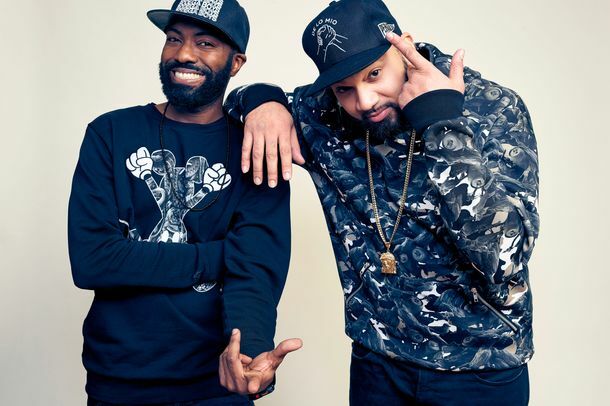 Desus and Mero’s Showtime Late-Night Show Debuts in FebruaryShowtime’s first-ever weekly late-night talk show premieres in just a couple months. Escape at Dannemora Premiere Recap: Prose and ConsThe first chapter of director Ben Stiller’s dramatization of the real-life escape sets the scene at a prison that’s been running on autopilot. Frankie Shaw’s SMILF Returns to Showtime in JanuaryAnd we’ve got the trailer right here. Kidding Finale Recap: I Am ListeningAs Kidding wraps its first season, Mr. Pickles’ Puppet Time is done for the foreseeable future, but most of the series’ tumult is still in play. The Affair to Jump Into the Future With Anna Paquin, Climate ChangeShe’ll play the now-adult daughter of Ruth Wilson and Joshua Jackson. Kidding Recap: The Straightest Dude I Ever MetJeff Pickles has come unstuck in time. Shut Up and Dribble Makes a Powerful Case for Athletes Who Speak UpLeBron James co-exec produces this thoughtful docuseries, which explores the NBA’s history of racial justice and protest. Penny Dreadful Will Rise From the Dead With a New Show Set in 1930s Los AngelesWelcome to Penny Dreadful: City of Angels. New in Streaming: What to Watch This WeekThe Cell, Quantum of Solace, and more. Jim Carrey’s Kidding Renewed by Showtime for a Second SeasonJim Carrey’s sad Mr. Rogers will return for ten more episodes. Who Is The Circus For?It’s hard to say what this Showtime docuseries adds to our understanding of politics or the way the news cycle works.